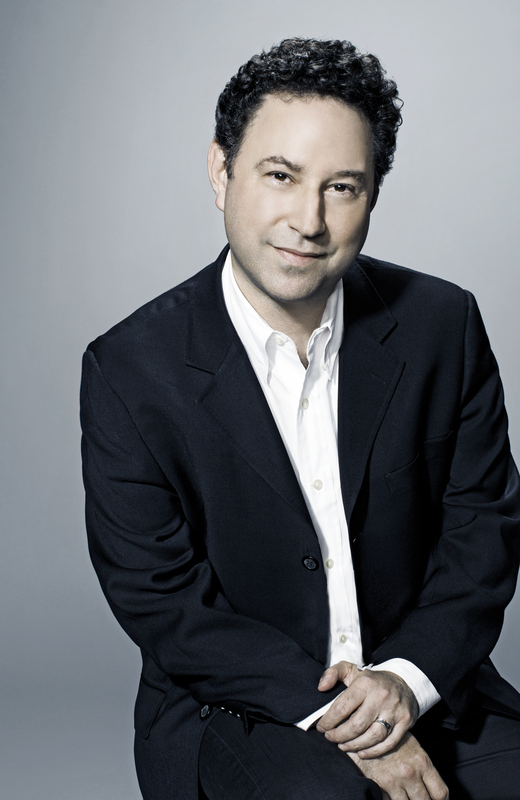 Alan Light, former writer for Rolling Stone, editor-in-chief of Vibe and Spin magazines, and author of The Holy or the Broken, “gets inside Prince’s mind palace in Let’s Go Crazy—a history of the making of his historic, semi-autobiographical musical masterwork, Purple Rain” (Vanity Fair). Purple Rain is a song, an album, and a film—widely considered to be among the most important albums in music history and often named the best soundtrack of all time. It sold over a million copies in its first week of release in 1984 and blasted to #1 on the charts, where it would remain for a full six months and eventually sell over 20 million copies worldwide. It spun off three huge hit singles, won Grammys and an Oscar, and took Prince from pop star to legend—the first artist ever simultaneously to have the #1 album, single, and movie in the country. In Let’s Go Crazy, acclaimed music journalist Alan Light takes a timely look at the making and incredible popularizing of this once seemingly impossible project. With impeccable research and in-depth interviews with people who witnessed and participated in Prince’s audacious vision becoming a reality, Light reveals how a rising but not yet established artist from the Midwest was able not only to get Purple Rain made, but deliver on his promise to conquer the world. 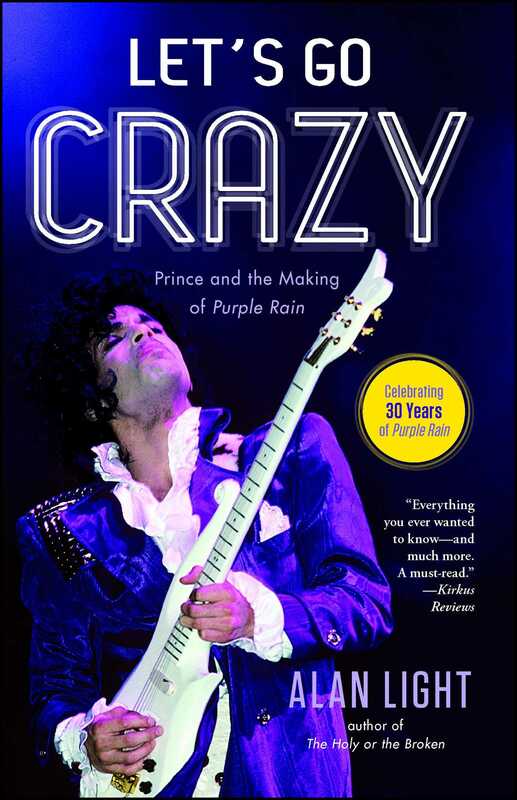 “A must-read for the Prince die-hards who have remained devoted through the musical meanderings of the last three decades” (Kirkus Reviews), Let’s Go Crazy examines how the masterpiece that blurred R&B, pop, dance, and rock sounds altered the recording landscape and became an enduring touchstone for successive generations of fans. The stage is dark. A chord rings out. It’s an unusual chord—a B flat suspended 2 with a D in the bass. A year from this night, the sound of that chord will be enough to drive audiences into hysteria. But right now, in this club, the crowd of 1,500 or so people listen quietly, because it’s the first time they are hearing the song that the chord introduces. A spotlight comes up, revealing a young woman playing a purple guitar. She is dressed simply, in a white V-neck tank top, patterned miniskirt, and white, metal-studded, purple-trimmed high-top sneakers. Her asymmetrical haircut is very much on trend for 1983, the year this show is taking place. Wendy Melvoin, the girl holding the guitar, is just nineteen years old, and this is not only the first time she is performing this song in public, it is also her first appearance as the new guitarist in Prince’s band, the Revolution. So far tonight, they have played nine songs; this one is kicking off the encore. She plays through a chord progression once, and the rest of the five-piece band falls in behind her. They go through the cycle again, and then again. The fifth time around, you can hear a second guitar coming from somewhere offstage. On the ninth instrumental go-round, Prince strides out, wrapped tightly in a purple trench coat. He plays a few fills, moves his head to the microphone as if he’s about to start singing, then pulls back again. Finally, three and a half minutes into the song, he begins his vocal, reciting more than singing the first line—“I never meant to cause you any sorrow . . .” The performance would yield what would soon become his signature recording and one of popular music’s greatest landmarks. In the audience, up in the club’s balcony, Albert Magnoli listens to Prince and the Revolution play the song. Magnoli, a recent graduate of the University of Southern California’s film school, has just arrived in Minneapolis to begin work on Prince’s next project, a feature film based on the musician’s life, which will start shooting in a few months. He thinks that this grand, epic ballad might provide the climactic, anthemic moment for the movie, an element that he hadn’t yet found in the batch of new recordings and work tapes Prince had given him. After the set, Magnoli joins the singer backstage and asks about the song. This launch and christening of Purple Rain occurred on August 3, 1983, at the First Avenue club in downtown Minneapolis. The show—with tickets priced at $25—was a benefit for the Minnesota Dance Theatre, where Prince has already started his band taking lessons in movement and rehearsing in preparation for the film. The sold-out concert, which raised $23,000 for the company, was his first appearance in his hometown since the tour that followed his breakthrough album, 1999, ended in April, during the course of which he reached the Top Ten on the album and singles charts for the first time, and made the hard-won leap to becoming an A-list pop star. The location for this concert was no accident. First ­Avenue, a former bus station that reopened as a discotheque in 1970, was familiar, comfortable territory for Prince. “It was his venue of choice to try material out,” Revolution drummer Bobby Z (Bobby Rivkin; his stage moniker was derived from “Butzie,” a family nickname) has said. Grammy-winning megaproducer James “Jimmy Jam” Harris, whose career began as a member of Prince’s protégé band, the Time, noted how the venue was an exception to the de facto segregation of live music: “A lot of clubs wouldn’t let us play because we were a black band, and they were one of the first to really give us a shot.” Indeed, First Avenue would practically function as a full-fledged character in the Purple Rain movie, and on this night, its hospitable confines served as the perfect place to introduce not only new material but a new configuration of the band. The crucial decision to record the benefit was made in a bit of a scramble. Alan Leeds, who had worked as a longtime employee in the James Brown organization, had recently been brought on board as a tour manager for Prince. After the 1999 dates ended, Prince’s managers asked Leeds to stay on as plans for the film developed. “By default, I ended up as the production manager,” he recalls. “Honestly, I was in over my head . . . so I was nervous from a technical standpoint. . . . I had to find a [remote recording] truck, and I finally got a guy named David Hewitt, who had access to trucks, and he found the right truck and we had David Z [engineer David Rivkin, Bobby’s brother] in it. So there was a lot of last-minute running around to pull that show off. It was also ridiculously hot and humid. Prince hadn’t necessarily planned on using the First ­Avenue recordings on the actual album, but when he listened to the tapes, he found that some of the new songs sounded good, in both performance and audio quality. Incredibly, not only “Purple Rain,” but also two other songs that were debuted that night—“I Would Die 4 U” and “Baby I’m a Star”—wound up being used on the final Purple Rain sound track (though the others were reworked more extensively than the title song was). The show gave a major running head start to a film project that continued to seem like a pipe dream to most of the people involved. To the musicians, it still wasn’t clear where the whole thing was headed. Almost exactly one year later, on July 27, 1984, Purple Rain opened in nine hundred theaters across the United States. It made back its cost of $7 million in its first weekend, and went on to clear nearly $70 million at the box office. The sound track album has sold more than 20 million copies worldwide, and spent twenty-four consecutive weeks at number one on Billboard’s album chart. It won two Grammys and an Oscar, and included two number one singles (“When Doves Cry” and “Let’s Go Crazy”) and another, the title track, that reached number two. It seems like anytime there’s a “best of” list or a countdown, Purple Rain is there. In 1993, Time magazine ranked it the fifteenth greatest album of all time, and it placed eighteenth on VH1’s 100 Greatest Albums of Rock & Roll. Rolling Stone called it the second-best album of the 1980s and then placed it at number 76 on its list of the 500 Greatest Albums of All Time, saying that it is a record “defined by its brilliant eccentricities”; the magazine also included both “Purple Rain” and “When Doves Cry” high on its list of the 500 Greatest Songs of All Time. The Purple Rain tour, which ran from late 1984 into the spring of 1985, saw Prince and the Revolution perform just shy of a hundred shows in five months, and sold 1.7 million tickets. They played multiple nights in many arenas, and even filled a few football stadiums, including the Superdome in New ­Orleans and Miami’s Orange Bowl. In retrospect, maybe the Purple Rain phenomenon seemed inevitable. Prince was the greatest pop genius of his time—on a very short list of music’s most gifted and visionary figures—and it was just a matter of his finding the vehicle that would translate his incomparable abilities to a wide audience. Yet in truth, when you look closer, the fact that the Purple Rain movie got made at all is hard to imagine, difficult to explain, and the result of many extraordinary leaps of faith on the part of virtually everyone involved in the production. Prior to this release, Prince was nowhere near a household name: while he had established himself in the R&B community, he had just one album that could be considered a mainstream hit, and no singles that had peaked above number six on the pop charts. He was also shrouded in mystery, surrounded by rumors about his ethnic background and sexual preference, and had completely stopped talking to the press as of the release almost two years earlier of his previous album, 1999. The film had a rookie director, first-time producers, and a cast that, with only a few exceptions, had never acted before. The star and most of the featured players were black, and most of the footage was shot on location in Minneapolis, about as far away from the coastal entertainment industry as you can get. On top of all of these strikes against popular acceptance for the movie, the road was already littered with failed vanity projects by singers attempting to make it as movie stars—artists who were a lot better established, including folks like Bob Dylan, Paul Simon, and Mick Jagger. But Prince’s unwavering focus on the project was vindicated, to the shock of many in Hollywood. And he maintained his seemingly illogical faith because he knew—or sensed, or divined—that there were people like me out there. At a suburban Cincinnati high school, my friends and I were already nothing short of obsessed with Prince, whose music felt like the culmination of all the sounds and styles we loved—dance beats, rock guitars, provocative lyrics, passionate vocals, style, glamour, intrigue. There was an extra locker in our senior class hallway, and we dedicated it to Prince, hanging the poster that came with the 1981 Controversy album (of Prince in a shower, posed in front of a crucifix, wearing nothing but bikini briefs, which I’m sure delighted our teachers and administrators) inside the door. We sent him a letter welcoming him to the class of 1984 and got back a postcard with the handwritten words love god stamped across his photo. Purple Rain was released just a few weeks after our graduation. Earlier that spring, we had all stayed up until midnight, cassette recorders at the ready, for the radio premiere of “When Doves Cry.” On this mesmerizing, churning single, and then on eight more album tracks, we heard that he had modified his sound—focused and sharpened it, became a guitar god fronting a true rock ’n’ roll band. Oddly, the aura of apocalypse and religious salvation that had already begun to turn up in his work was, if anything, pulled even further forward; yet during the heart of the Reagan era, with the nuclear arms race at the top of everyone’s mind, this didn’t make his lyrics any less ­accessible for new listeners. When I got to college in the fall, I discovered that many of my new classmates were equally obsessed with Purple Rain—which meant that now we all had to go see it together, repeatedly, as part of the new bonds we were creating. (A few months later, my closest new friend and I took turns sleeping on the sidewalk in the snow to purchase tickets for the nearest stop on the Purple Rain tour.) Perhaps affluent, mostly white and mostly male kids weren’t initially the target audience for a Prince film, but what the world soon realized was that a $7 ­million investment gets paid back pretty quickly when groups of teenagers go to see a movie six or seven or eight times. The 1980s were all about big-bigger-biggest blockbusters and sequels and expensive music videos, and Prince was going head-to-head with some of music’s most towering icons at their peaks of popularity—Michael Jackson, Bruce Springsteen, Madonna. But in that moment, no one understood the potential of the new scale for media and harnessed it for his own purposes as effectively as Prince did. He shook the culture, musically and racially, sexually and spiritually, transforming possibilities and ignoring rules. And if he never reached those heights again, and in many ways never recovered personally or creatively from the Purple Rain juggernaut, he still took us all to a place we had never been. Rocketown is an unassuming, warehouse-sized club just a few blocks from the Bridgestone Arena in downtown Nashville. Geared to Christian teenagers, it’s adjacent to a skate park; there are pool tables upstairs, and the marquee lists a bunch of bands you’ve never heard of. It is now May 2004, twenty years after the release of Purple Rain, and Prince has already finished a sold-out performance at the arena (which was still called the Gaylord Center at the time), followed by an additional ninety-minute set on Rocketown’s stage, after which he has an almost three-week break in his touring schedule—“I gotta go home and water the plants,” he tells the crowd of five hundred or so with a laugh. Prince is in the midst of one of his periodic resurgences in popularity, spurred by both music and strategy. After a series of experimental and even surly records, released in the midst of his ongoing battles with the music industry, his new album, Musicology, is accessible and funky; not a breakthrough or a true classic, it’s still a fully realized collection of satisfyingly Prince-style songs. He made some high-profile media appearances (opening the Grammy Awards broadcast performing a medley with Beyoncé, singing for Ellen DeGeneres), delivered a knockout mini-set at his induction to the Rock and Roll Hall of Fame in March, and concocted a plan in which everyone who bought a ticket for the tour received a copy of Musicology on his or her seat—each of which counts toward SoundScan’s bestseller lists. Since the ninety-six-date run would prove to be the top-grossing tour of the year, earning $87.4 million, this meant that the record would go gold and stay in the Top Ten for the whole summer, even if not one person bought a copy in stores. So Prince is happy. He has also recently become a Jehovah’s Witness, and his conversation is now laced with frequent biblical references and allusions. The after-show performance at Rocketown offers the musical manifestation of this new Prince. Where these intimate, late-night gigs used to be cathartic, virtuoso displays, this time he leads his band through a set of loose funk jams. He bops through the crowd to listen from the soundboard and roams the stage cueing the players through a mash-up of Led Zeppelin’s “Whole Lotta Love” and Santana’s “Soul Sacrifice.” There’s no tension, all release. I’m there to interview him for a cover story for Tracks, a magazine I founded and edited in the early 2000s, and after the show, I observe something even more unlikely: At 2:30 a.m., Prince can be found standing outside the stage door, hanging with his band members and talking to fans. The thirty or so clustered civilians are breathlessly excited to be in his presence, yet seem understanding when he tells them that he doesn’t believe in signing autographs. He is, as always, shy and quiet, listening more than talking, but he actually seems to be enjoying the chance to mingle. One young woman tells him that Purple Rain was the first album she bought when she was in the first grade, but that her mother wouldn’t let her see the movie because it was too risqué. “Just think about what ‘too risqué’ means today!” Prince responds. Material from Purple Rain had provided the focus for the arena concert earlier in the evening. He performed seven of the album’s nine tracks during the thirty-song, two-hour greatest-hits set, closing with the title song. In the grimy Rocketown dressing room, though, he claims that the twentieth anniversary of the project is of little consequence to him. His work in film has suffered a more troubled fate. Each of his subsequent efforts—the features Under the Cherry Moon (in 1986) and Graffiti Bridge (in 1990), and the concert documentary Sign o’ the Times—has flopped. Sign, which chronicled performances from the magnificent 1987 album of the same title, earned some critical praise, but it was a production disaster and did minimal business. The other two movies were ravaged in the press, and the common belief is that Prince’s insistence on directing played a big part in his fall from the peak of the pop world. A December 2013 concert at Connecticut’s Mohegan Sun Arena saw Prince at his latter-day loosest; he introduced the night by saying, “We’re gonna just jam tonight—it’s just an old-school party,” and largely stayed away from the hits, digging deep into his catalogue (including quick runs through “Jungle Love” and “The Bird,” the two songs by the Time featured in Purple Rain) as he alternated between a twenty-one-piece, horn-heavy funk ensemble and his stripped-down, all-female rock trio, 3rdEyeGirl. Still, the inevitable closer, as a second encore, was a heartfelt rendition of “Purple Rain,” with a tender vocal and a winding guitar solo that saw him exploring the indelible melody as if it were a brand-new composition. As he had that night at First Avenue thirty years earlier, he stood in the spotlight, and an audience stood thrilled and riveted by what it heard—despite, or because of, the fact that this roomful of middle-aged, mostly white concertgoers was able to sing every note and anticipate every turn of the song, and had been able to do so for the majority of their years on earth. Prince’s reluctance to look back at his career in more comprehensive ways is a mixed blessing at best. An artist can’t be faulted for wanting to keep moving forward, for making all best efforts not to be weighed down by a legacy that, if he’s lucky, eventually and inevitably turns him into a reliably bankable oldies act. The fact that Prince keeps making new music after all this time, that he refuses to coast on his back catalogue, is admirable, and whatever it takes for him to do that is understandably a priority. The deal is potentially a landmark in the recording community. An often overlooked change in copyright law allows musicians, writers, and other artists to exercise so-called termination rights. The provision, which took effect in 2013, enables the creators of music to win back their U.S. rights after thirty-five years, so long as they can show that they weren’t employees of the record label, even if they signed a contract that transferred all the rights to their work. These rights, though, are not automatically awarded, and to obtain them usually requires extensive litigation. Regardless of any anniversary, of all of Prince’s groundbreaking work, it is Purple Rain that endures first and foremost. It will always be the defining moment of a magnificent and fascinating—if often erratic—career. It carries the weight of history. Its success, on-screen and as a recording, was a result of the supreme confidence, laser-focused ambition, and visionary nature of the most gifted artist of his generation. Dancing on the line between fact and fiction, Prince utilized his mysterious persona to hypercharge the film’s story with tension and revelation. He let us in—only partway, certainly not enough to rupture his myth, but more than he ever did before or since. Defying all odds, a group of inexperienced filmmakers and actors, working against the clock and the brutal Minneapolis weather, clicked for just long enough to make a movie that the public was starving for, even if they didn’t quite know it at first. Purple Rain came along at precisely the right moment—not just for Prince, but for the culture. The summer of 1984 was an unprecedented season, a collision of blockbuster records and the ascension of the music video that created perhaps the biggest boom that pop will ever experience. It was also a time of great transformation for black culture, when a series of new stars, new projects, and new styles would forever alter the racial composition of music, movies, and television. While the magnificence of the Purple Rain songs remains clear thirty years later, the album and the film were also perfectly in tune with the time and place in which they were created, and their triumph was partly the result of impeccable timing and circumstances that could never be repeated or replicated. The first time we heard the songs on the radio, the first time we put on the album, the first time the lights in the movie theater went down, we all did just what the man told us to do: we went crazy. "Everything you ever wanted to know about the making of the popular Prince movie—and much more.Beyond the minutiae of moviemaking and who was sleeping with whom, the book is particularly incisive in providing context, showing how video technology and black crossover artists were changing the marketplace. A few of the revelations are real howlers...But mainly, Light commemorates an anniversary that might otherwise have passed without much notice. A must-read for the Prince die-hards who have remained devoted through the musical meanderings of the last three decades." "Drawing on interviews with musicians and filmmakers involved in the making of the title song, the album, and the movie, Light provides not only a portrait of a musician compelled to share his musical vision, no matter the cost, but also a cultural history of the times in which the film and music debuted." "Alan Light gets inside Prince’s mind palace in Let’s Go Crazy—a history of the making of his historic, semi-autobiographical musical masterwork, Purple Rain." "Thoughtful and illuminating... [Mr. Light] is a fine companion for this journey through one song’s changing fortunes." "A combination mystery tale, detective story, pop critique and sacred psalm of its own." "Brilliantly revelatory... A masterful work of critical journalism." "A deeply researched mixture of critical analysis and cultural archaeology." "Keeps the pages turning... A well-constructed, consistently enlightening book, which should have Cohen devotees and music fans alike seeking out their favorite version of the song." "Reverentially details every stage in the [song's] evolution—and along the way, he reveals the compelling stories behind some of its most iconic interpretations." "Absorbing…Eloquent... Light expertly unpacks the song's long, strange journey to ubiquity." "A must for music fans." "[A] charming ode to a pop culture phenomenon."